Friday Reads is a social media hashtag that connects people by talking about the books they're reading as we head into the weekend. I like to use it as a roundup of the books we spent the week with, which includes authors of all heritages. Summer has arrived early here in Los Angeles with temperatures rising every day. When we can't get to the beach, we have been taking refuge inside behind the glow of our television set. The weekend will bring some reprieve from the 90 degree days but our previous weeks have been so busy that staying in still feels like a great idea. That doesn't mean we aren't learning or reading- we just aren't structuring our life in the same way. I didn't think we needed a break from all the non-schooling we do, but I guess I was wrong. Summer also means we're halfway through 2018 and that I'm halfway through my reading challenge for this year. I made a plan and set out to read 100 books this year. The authors and genres don't have to fall into any specific category but only books by black authors are reviewed on Black & Bookish. As of this post I've read 74 books this year. That's pretty spectacular in my opinion. Remember, last year I read a total of 53 books. 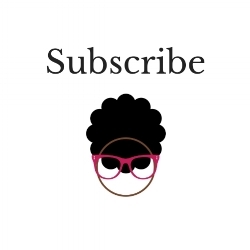 21 books (so far) are by Black writers and will be reviewed here. My hope was that at least half of all the books I read will be by authors of color. Many of the books I'm currently reading are by Black authors but I'm reading so many at once that I'm having a hard time finishing any of them. Over the next few weeks, reading and writing are going to have to take priority so I can reach my first goal of 100 and then concentrate on my writers of color. What's been great about this year is all the help I have gotten from my blog readers and social media followers. I wouldn't count myself as some "influencer" type- I'm not social media famous or anything. But you guys have made numerous recommendations that I get to share with everyone else. Some of my favorites this year have been An American Marriage by Tayari Jones, Milk and Honey by Rupi Kaur, the Saga series by Brian K. Vaughan, and So You Want To Talk About Race by Ijeoma Oluo. All have been recommended by my readers. And because so many of you listen to audiobooks I gave it a try. It was one of the best decisions I've ever made in terms of reading and discovering new books. The girls and I are on our third book for our commutes around town. I also read more ebooks because they are easy to acquire through the library. Now if you're thinking "I can't afford to be so bookish", fear not. I have only bought two books since January. What I spend the most on is time- I plan my library days and I place books on hold to cut down on browsing. Hint: I go the same time every week. This post has some other suggestions on how to maximize your library book haul. My public library has been the best way to read all that I want AND still have money to afford to live in Los Angeles. For a comprehensive list of all the books so far, visit my Goodreads page at www.goodreads.com/blackandbookish. Here I rate, review, and categorize all my books. How are your reading goals going? Leave a comment below on your progress so far.